What Were Funerals Like in the Past? 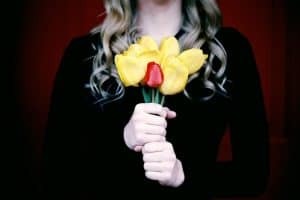 Home » Attending a funeral » What Were Funerals Like in the Past? In the days before video footage was available, the only information we have about funerals in the 1900s is based largely on black-and-white photographs; predating the camera, we can only rely on written testimony. So what were funerals like in yesteryear? While certain elements of modern-day funerals have stayed the same, others are unrecognisably different. Here are a few areas in which old funeral traditions both mirrored and differed from the customs we practice today. Wearing black is still commonplace at most British funerals today, though the custom was observed more stringently in times gone by. Rather than just donning dark colours for the ceremony, mourners (especially widows) were expected to wear black for a year or more in Victorian times, taking after Queen Victoria’s expression of grief for the loss of her husband Prince Albert. In other parts of the world, different colours have been the accepted norm for showing sorrow at the passing of a loved one. Thankfully, medical science has come on in leaps and bounds over the last few 100 years or so – but things weren’t always so rosy. Indeed, as recently as the early 20th century, people were mistakenly buried alive with disturbing frequency, which led to the practice of “sitting up” with the body of a newly-deceased loved one. As the name suggests, this involved simply sitting by the body for several nights (or weeks, in some cases) after the person was pronounced dead to make sure they had in fact passed on. The process of embalming (or preserving the body after death) has a long and varied history all across the world. 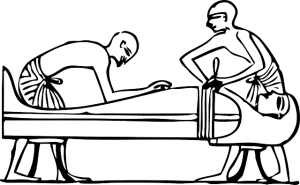 While the Egyptians are probably the most famous proponents of the process, the earliest cultures believed to have practiced embalming date back to 6,000 BC in South America. Today, the removal of bodily organs and the injection of a preservative fluid is still an intrinsic part of the undertaker’s preparations of the body, so this is one tradition that may have evolved but hasn’t varied all that much. Belief in religion is on the wane in the UK; at the last census, over a quarter of the population identified as atheist, with just under 60% Christian. However, doubt in religion (and, by extension, an afterlife) is a relatively recent phenomenon. In the olden days, people were so convinced in the existence of the afterlife that they would bury the dead with money and goods to be consumed in the next world. Of course, such customs still take place in some parts of the world today, but with far less frequency than they used to. The idea of a funeral plan might seem like a recent one, but budgeting for death is actually a centuries-old tradition. In ancient Rome, for example, people would often club together to form a sort of burial coalition, whereby members would have the costs of their interment covered by those surviving them. Indeed, legislation was even passed in the 7th century BC regulating the practice. The tradition kept up throughout the centuries and although it’s less common today, people are budgeting for their own passing in advance on an individual basis more and more often.